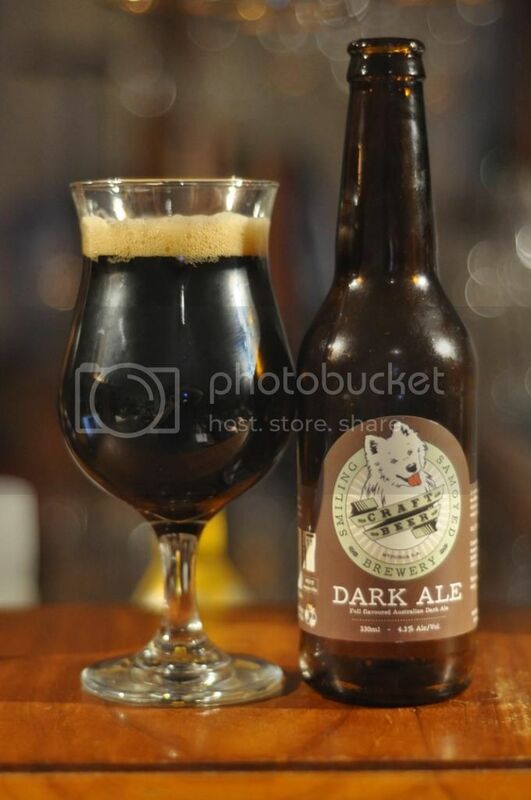 Smiling Samoyed Dark Ale - This was my first beer from these South Australian guys and I have to say I was very impressed! There was plenty of chocolate and roast yet still had the drinkability that Dark Ale's should provide. Cricketers Arms Spearhead - The re-launched Cricketers Arms brand included this new American Pale Ale. It was much better than I thought it was going to be and had good bitterness with plenty of citrus coming from the hops. If you're a bit short of coin, you could do a lot worse than picking up a 6-pack of this. New Norcia Abbey Ale - This is the Malt Shovel Brewery's, makers of the James Squire range, attempt at a Belgian style beer. It's something of a cross between a Belgian Pale Ale and Tripel and it's better than I expected it would be. The beer's named after Austalia's only monastic town, New Norcia, which is around 100km's North of Perth. Barrow Boys Pedlar's Pale - Another Pale Ale that made the list is from Barrow Boys. These guys are relatively new on the Melbourne beer scene - but have made an impression on me with this beer and their first a dark Vienna Lager. If you see either of these beers they are absolutely worth picking up! This is quite a bitter Pale Ale which won't appeal to everyone. White Rabbit Belgian Pale - I'm not going to lie and say this is in the top 20 beers I've had this year. What this beer is though, is a good introduction to real Belgian beers. There is that stereotypical Belgian yeast, followed by a more mainstream version of a Pale Ale that the average drinker would be more familiar with it. You could do worse than to pick this one up. Doctor's Orders Prescription 12 - The Doc has long been known for producing some of Australia's best beers. Prescription 12 is his Spring seasonal Black IPA and is his first commercial release in a bottle - the first of what will hopefully be many more. This is a Belgian Black IPA and it's as good as they come. I first had it from the bottle at The Wheaty in Adelaide and have had it twice more back home, it's worth seeking out if there's any more out there! If not look out for Zephyr, his Imperial Wit, it's also excellent! Boatrocker/To Øl Orange Sorbet - As those of you who are regular readers will know, I've developed a fair taste for sours - in fact I quite regularly get a thirst that can only be quenched by a sour. Boatrocker & To Øl have teamed up to produce this spectacular Berliner Weiss! It's quite tart with more than enough Orange. It's aged in Chardonnay barrels, but the Chardonnay flavour is not overpowering, with it fading to the background by the end of drinking. Abbey Collaby (2014) - The 2014 Abbey Collaby offering is my favourite so far. It's a collaboration between Mountain Goat, Moon Dog and Matilda Bay. This year's offering is a Barley Wine; and also happens to be the Barley Wine that finally confirms for me that I "get" the style! Plenty of citrus accompanying caramel and raisins - I really like this beer! Six String Dark Red IPA - Another beer that a number of people really hyped up for me. Beers that are hyped as much as this one can often let you down. This one doesn't though! It's very malty at first but by the end of drinking you're convinced that it's a hoppy beast! It's a beer that intrigues me, the colour of the beer doesn't match what it tastes like. It's a beer I will be going out of my way to get more of, for research purposes of course. Boatrocker Tripel - I raved about this beer before (in September's Bear Club I do believe), it's so good that it needs another mention! The extra few month's in the bottle have done this beer no harm at all. It's still sweet, as all Tripel's should be, plenty of spice with nice honey and apricot! This is as good as Tripel's get in Australia! 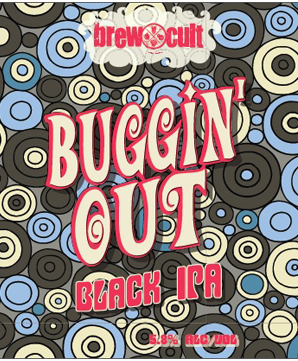 Brewcult Buggin' Out - Buggin' Out is, the legendary, Hendo's Black IPA. I've had this beer a number of times, including at Ballarat Beer Festival where I loved it. My latest offering is from Tru Bru's Bear Club and I have to say, it's absolutely sensational. The body is a little thinner than your average Black IPA - but rather than detracting from the beer, I think the sessionability (it's definitely a word!) improves the beer! It's roasty, hoppy and delicious! Get your hands on this one!